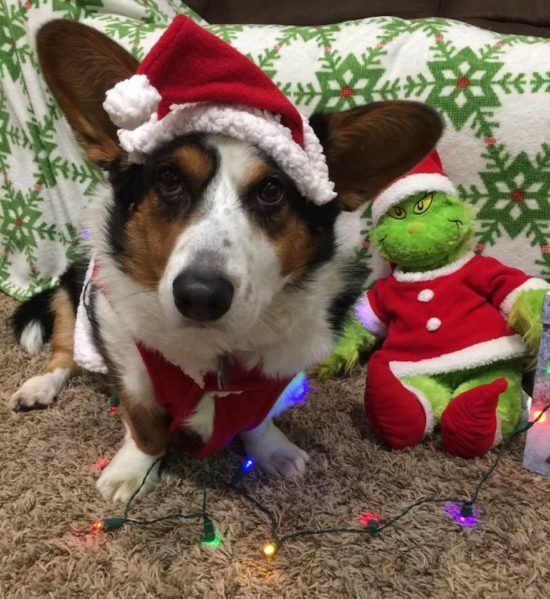 If this doesn’t put the jingle in your bells, nothing will. Quite a rowdy round-up today! I don’t know about you, but I find this time of the year a wee bit stressful. 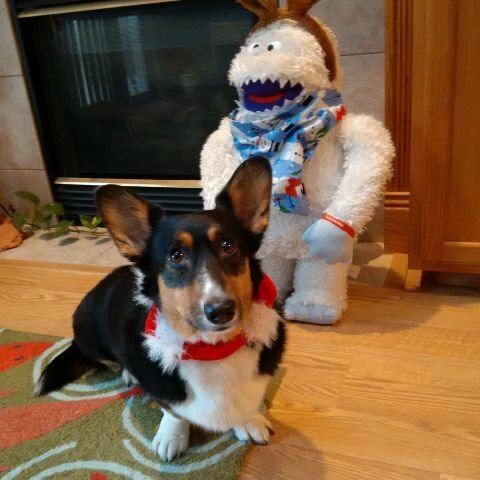 Somehow Corgis meeting Santa (and an occasional Abominable Snowman) makes everything better. Go figure! 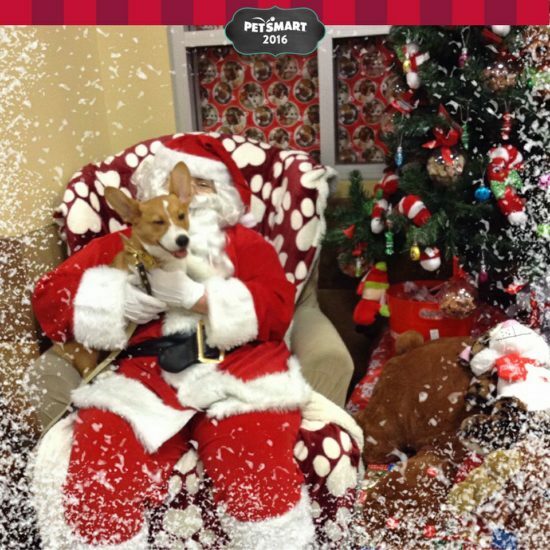 Duke Douglas got to meet Santa for the first time! Hey Lowie, what do you think of Santa? Lowie? Lowie? Lowie? 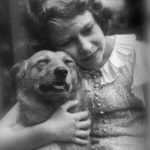 Mozzie to Mom: Really? Seriously? This hat, though. 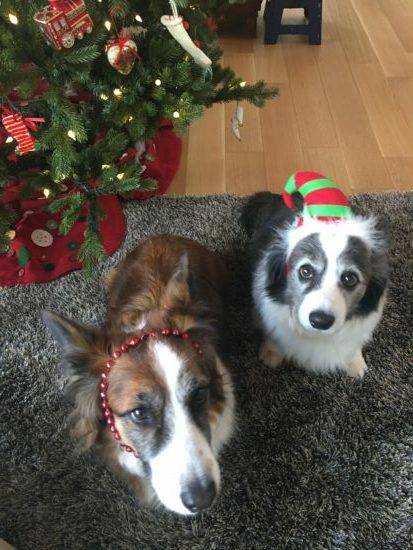 Grady and Norah, elves and professional vittles tasters at your service. 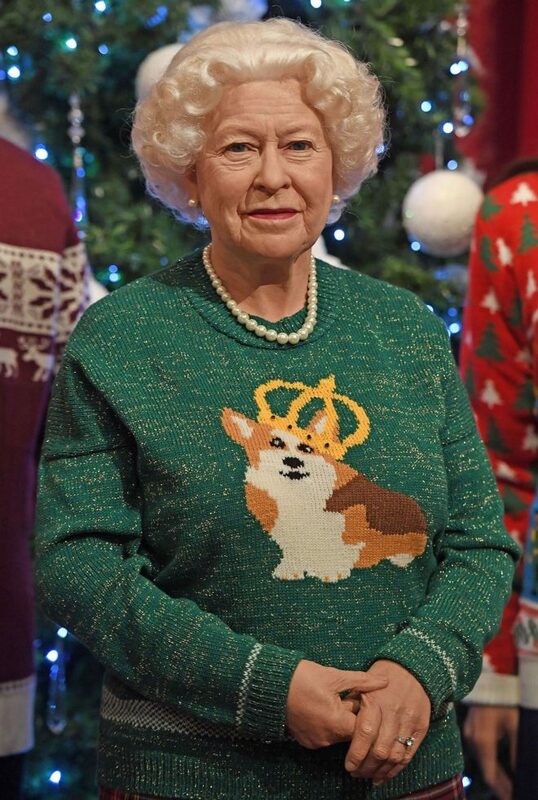 “The Queen” (wax figure at Madame Tussaud’s Museum) sporting The Best Christmas Sweater Ever. 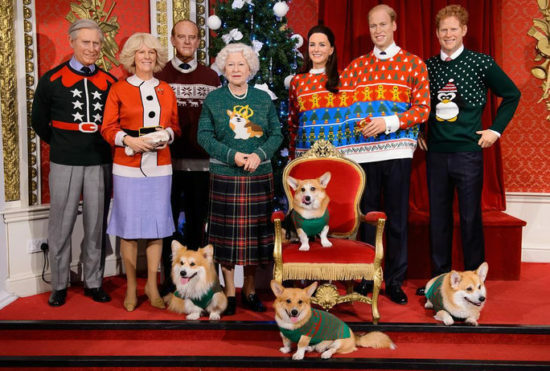 Windsor royal clan with Corgis, everybody wearing Christmas sweaters. Some uglier than others (ahem). 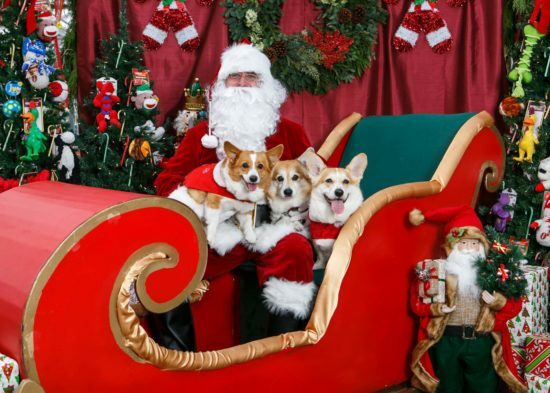 Rambo, Bear and Sassy meet the Big Elf himself. 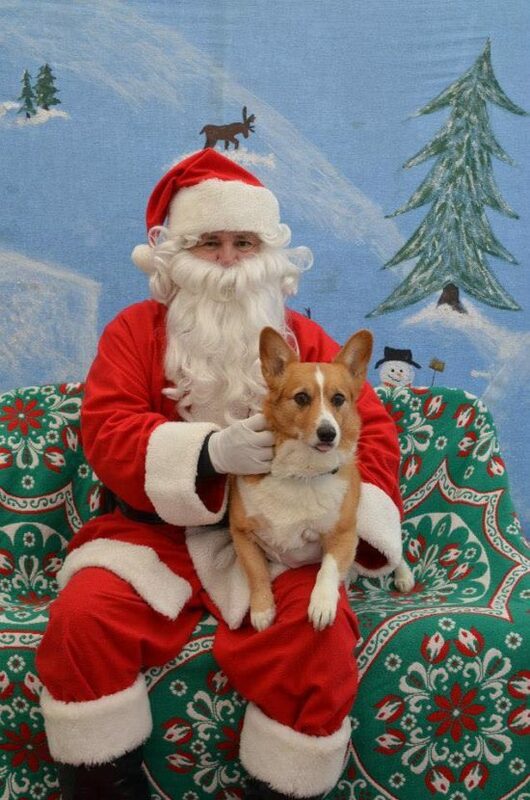 Miss Rayne ain’t afraid-a-no Bumble Claus. Nope, no way and no how! 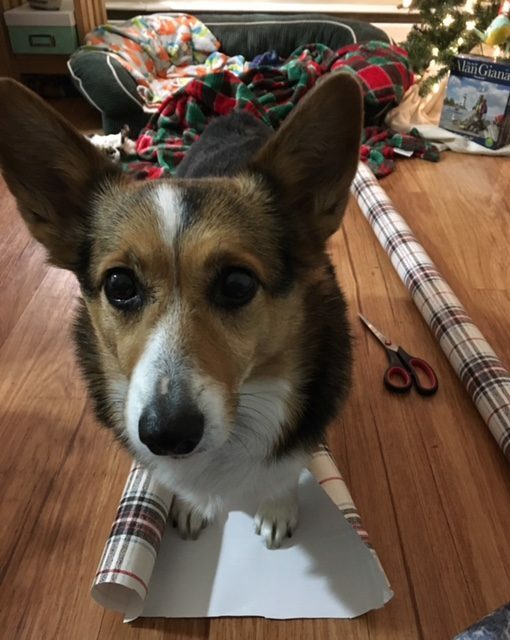 Maggie is un-impressed with your gift wrapping skills. 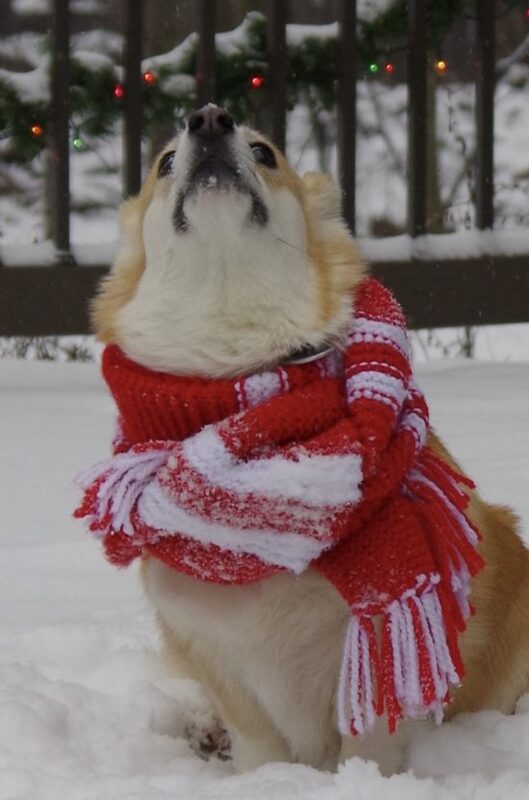 Serena sings an absolutely barOoOoootiful Christmas carol. 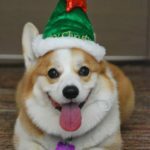 Christmas Sweaters, Corgi Socks, Cookie Joy and Santa Paws! 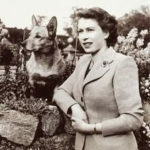 I think 5$ is a very modest price for more than 300 days of Corgi fun. 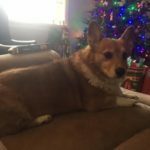 So please help Laurie to keep the blog going. I have chipped in already.